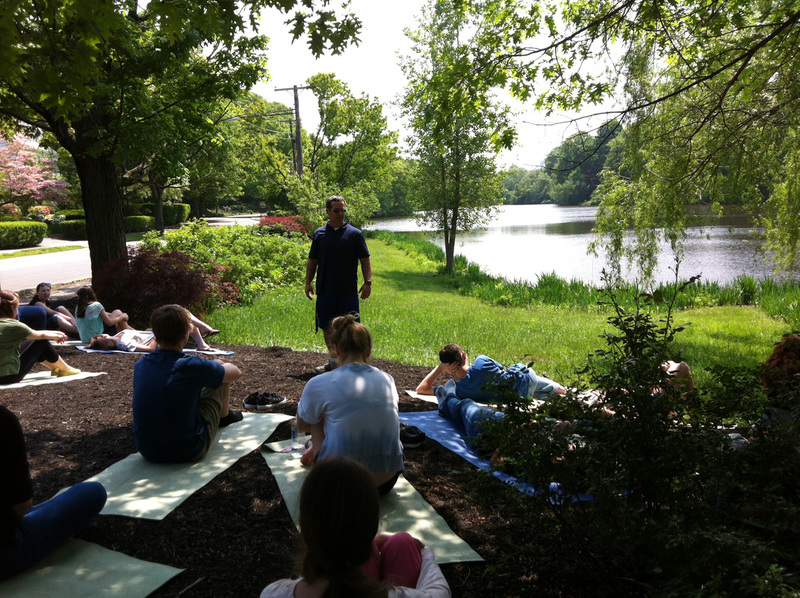 Newton North High School students enrolled in a physical education class called “Wellness” are being instructed, (pictured here), in the art of meditation. 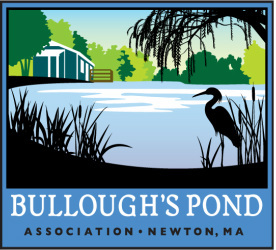 Early in the morning, in good weather, it’s possible to observe others pursuing physical, emotional or spriritual tranquility at Bullough’s Pond. Some people practice T’ai chi, and others engage in yoga practice and sunrise salutations. On Rosh HaShanah, the Jewish holy day, members of a local temple visit the pond for the beautiful ritual of Tashlikh – a symbolic casting off of one’s sins and troubles into the water.